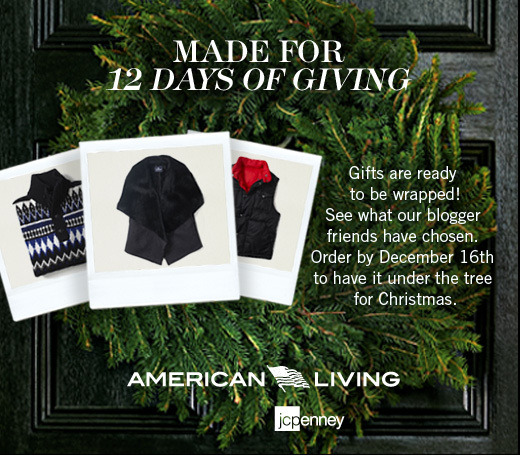 This weekend I gave my mom her gift from the American Living JC Penney "Made For 12 Days Of Giving" collection. She loved it! She can't wait to style it (she preferred not to do it on the blog). 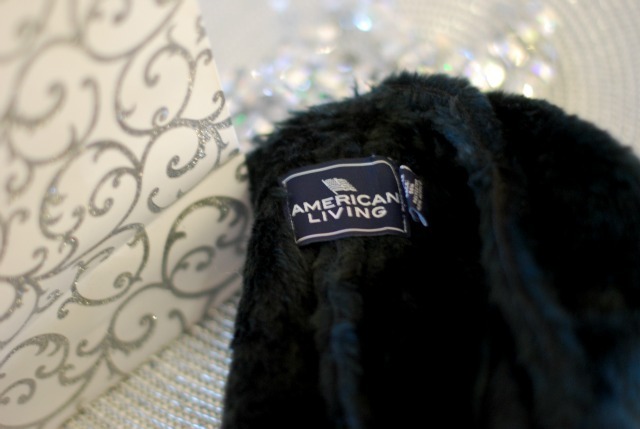 Head to www.americanlivingholiday.com to check out the faux fur vest I choose for her. Love that you chose your mom. What a sweet Christmas this must have been for her. 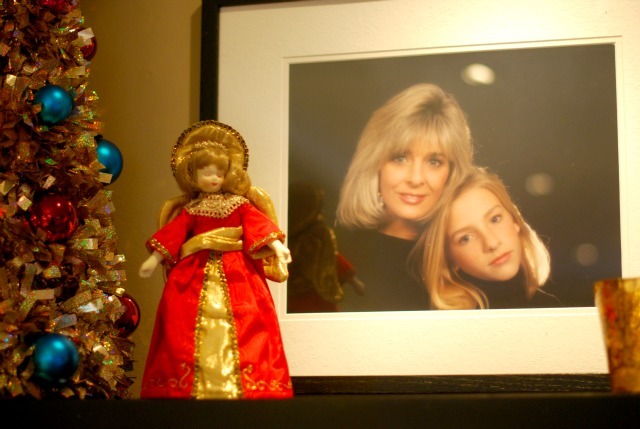 aw, that portrait of you and your mom is so beautiful! :D you two look so alike! Such great photos! I love the peak at the old photo of you and your mom! Love that exaggerated draped collar...so festive...can't wait to see what Moms rocks it with...maybe a sneak peek once she's got it on?? Great pick! you and your mom look alike! very pretty picture! You both are so beautiful women! I guess your Mom is lucky she has you and you 're have the same feeling! I love those ornaments in the first picture. They'd be pretty hanging in front of a window. Love those ornaments in the first photo! Those ornaments in the first photo are so pretty! 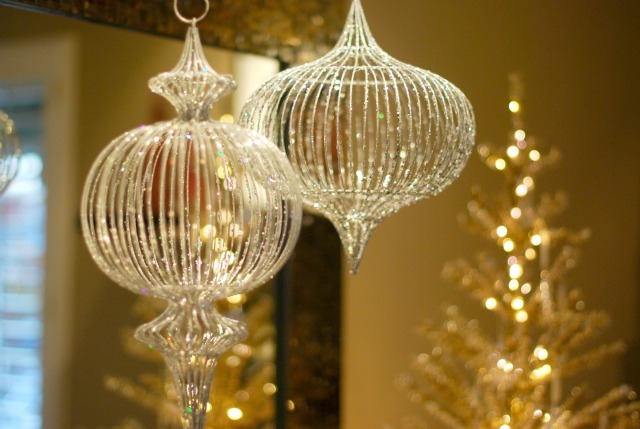 Where are the ornaments from? They're gorgeous!